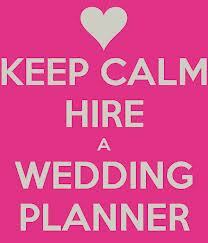 Have a Budget and really need a Wedding Planner? Please read and see how wedding planners benefit you while not scaring you away because of the price. Many brides want to have a DIY wedding but do not have the time to meet with all the vendors, pick out the decor, and definitely do not have time the day of their wedding to walk around and make sure everything is perfect. By hiring a wedding planner/designer, you will not be stressed out at all and have the opportunity to enjoy every part of the process of your wedding. I am writing about this because lately, brides have been contacting wondering pricing and packages related to planning services. However, many brides budgets may not fit the price of hiring a full on planner. Do not fear though, many planners may work something out with you to give as much of their knowledge and assistance to fit in your budget. Do not hesitate to contact planners for questions concerning your wedding, just understand how much work goes into full service and how they can help you save money in other ways. Full Service Wedding Planning/Design- ($4,000-$10,000) services provided for this could include planning your entire event. Think about all the time you do not have because work, school, kids, etc. This would be why you are hiring a planner to do your wedding for you. Many hours and meetings go into full service design so do not be afraid of the price because although it may seem high, a planner who is designing your entire wedding will definitely have opportunities where you can make up the price elsewhere. As planners, we have many connections with vendors and venues where we can get discounts and deals at a better rate since we work with them on multiple events. Therefore, the $5,000 you may spend on a planner, you will make up savings on the venue, vendors, and entertainment. Full service also almost always includes the day of coordination to make sure everything is done exactly how you envisioned it. Partial Service Planning- ($2,500-$5,000) Maybe you have the venue picked out already or a few vendors but do not have time to meet with them and make sure they know when to be at your wedding or tell them exactly what you want. This is when you want Partial service so you have someone to review all your contracts and someone to tell the vendors when to arrive. This will typically also include day of coordination as well. Day of Coordination- ($800-$2,000) This service usually will include a rehearsal along with of the wedding day of activities. A coordinator is hired to be sure the wedding schedule is going smoothly and everything is on time to the best of their ability. *Your wedding day may be one day, but it is the most important day in anyone’s life. You do not want any last minute worries or stresses because your flowers didn’t arrive, your maid of honor is missing, or your DJ came an hour late. By simply hiring a planner, you will not need to worry about anything. Just showing up with your dress on and walking down the aisle to the man of your dreams. (And that is not a worry at all) Enjoy your day and check with Wedding Planners in your area for their specific pricing. Trust me, do not be scared at the price, it will help you in so many other ways!